As the prosecco flowed and the teas steeped in the glow of the Mosaic Room of Ovolo Nishi Hotel, we were so pleased to meet with all that came down for Mrs Fray’s pop-up. We must mention of course, how all of this started. Mrs. Fray started in a bid to bring the best of the wedding market to Canberra in an experience that would outshine every other. They’re making a dream of fun and stylish gown hunting into a reality, with the focus on creating a warm and inviting shop space that would never exclude anyone. No bride should go unsatisfied or settle for less with them in town. 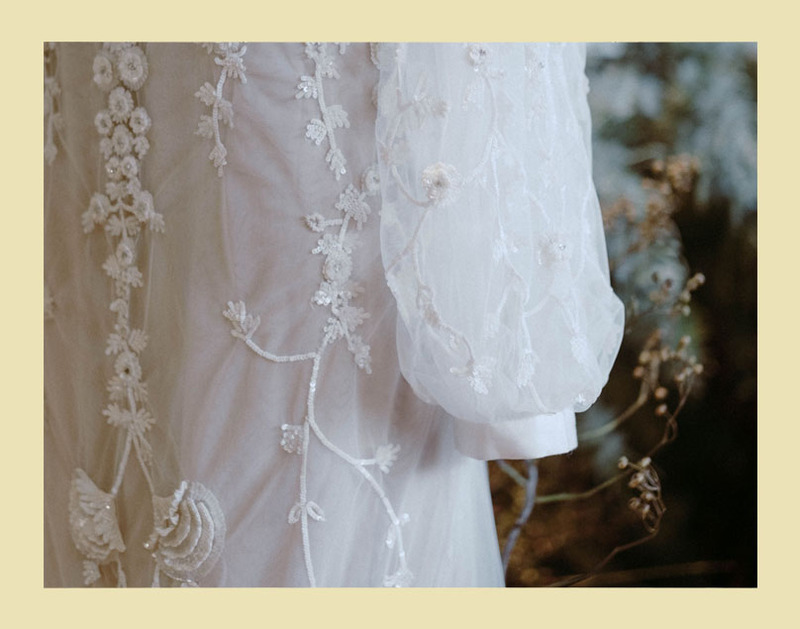 Right now, tri-annual pop ups are happening with them, revolutionising the way brides can scour the city for the perfect pieces. Their offerings are from curated brands with impeccable taste and style, and not only gowns are available. This March, they featured lingerie, sleepwear and the most divine fragrances. Ready-to-wear and jewellery brands also shared the space with us, Karen Willis Holmes, Lola Varma, and Prea James Bridal. It’s a full retail experience of anything you ever wanted all boiled down into one gorgeous space. With personal appointments and free browsing, one could feel at ease deciding just exactly what you want without the distractions of anything else. Forget suspicious carpets in off-season jewel tones and harsh, artificial LEDs in the space where you start your dream- Mrs. Frays choice of the Mosaic Room flooded the room with natural light and its natural textures only elevated each outfit being tried on. What’s more, Amy and Andi, founders of Mrs. Fray, have just confirmed their permanent status here in Canberra. Watch out for what unfolds as they prepare to welcome you once again to their new space in Campbell. All in all, it was a beautiful collection of makers and movers all gathered last month. We’re looking forward to meeting more of you in the upcoming events that we have here and there; and thank you for the lovely experience.